Kellyville Landscape Supplies (KLS) can cut sandstone to size to meet project requirements. 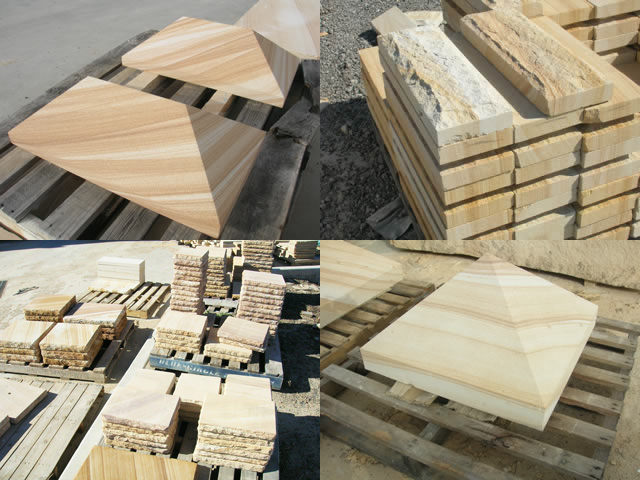 Sandstone can be cut for use as pier caps, hearths, step treads, paving, quoins, window sills, walling, fireplaces, copings and more. KLS also stock standard size pre-cut pier caps ready to go and sandstone tiles both local and imported.